THE BEST THINGS TO DO IN DUBAI THAT WILL BLOW YOUR MIND! Dubai is one of the most beautiful cities in the world. The tech-savvy lifestyle of the urban population which the city possesses is surely going to take your breath away. There are several things to do in Dubai which would blow your mind away from adventure to shopping to entertainment and much more. Are oyu ready to go to this wonderful destination? We have collated a list of things to do in Dubai which is surely going to create a curiosity in mind about what Dubai has to offer. Still wondering if Dubai is the right holiday destination for you? Apply for a tourist visa for Dubai and experience the beautiful streets of Dubai to collect priceless memories to cherish all your life. The Burj Khalifa stands as a landmark of Dubai. We assure you that you will be awestruck when you see this massive 830-meter skyscraper with your bare eyes. With the longest distance traveled elevator and moving as fast as a snap of your fingers, you are surely going to experience a panoramic view of the Dubai skyline and an awesome view of the city from the top (observation deck on the 124th floor). It is different feeling altogether seeing the beautiful sand dunes, beautiful ocean, man-made islands and urban landscape all at one glance at one location. Stick around, because the best things to do in Dubai is just going to keep getting better. We all agree that man-made creation can never match the creation of the Almighty. 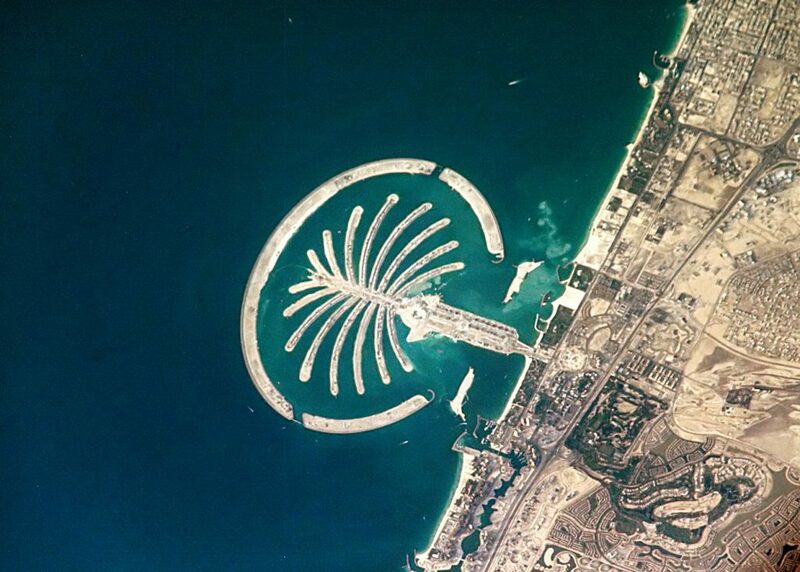 But when you see the incredible Palm-Islands, which are in the shape of a palm tree, you are surely going to have doubts in your mind. With over 100 luxury hotels, public beaches, water parks, residential beachside villa apartments, sports facilities, restaurants, shopping malls, you name it and it is there. The world famous Atlantis Hotel is located at a far end of the island. You need to keep your pockets full as everything from apparel to food is pretty expensive. Now if you are a shopping addict, then this is paradise for you. The world’s biggest shopping mall which opened in the year 2008 is home to over 1,200 shops spread over 635 retailers. If that is not going to freak you out, then the number of visitors to the Dubai Mall is a massive 70 million visitors per year. Yes, you heard it right. It is more than the number of visitors in the entire New York City or any other landmark/destination across the entire globe. Irrespective of how much time you spent in the Dubai Mall, whether it is shopping, grabbing a quick bite or indulging in entertainment activities you will keep craving for more. The plethora of activities to partake in while in Dubai seem to never end! When the temperatures rise to a scorching 50°C, there is no better remedy to cool off your heels. The Jumeirah beach is one of the most popular leisure beaches in Dubai. This beach stretches from the luxurious Jumeirah beach residence to the Palm Jumeirah hotel. There are numerous options available all along the beach, be it water parks, shopping complexes, restaurants and much more. With the posh Burj Al Arab hotel in the background, you are surely going to get stunning click moments. You will be fascinated at the look of this luxurious 7-star hotel near the Jumeirah beach. Standing at 321 meters tall, the Burj Al Arab hotel has a sailboat-shaped structure with a helipad and a tennis court on the top. The tennis court hosted the famous match between Roger Federer and Andre Agassi. Visitors and tourists are not allowed to enter the hotel without a reservation. Settle down for a tea in the lawns of one of the restaurants. In fact, that is the cheapest thing one can afford in the Burj Al Arab for enjoying the beautiful stunning interiors. You would be surprised if you are given an option of skiing or snowboarding in the land of the desert. Yes, Dubai is probably the only city in the world where you can get the best experience of sand, beaches and skiing all at one location. The massive 22,500 square meter Ski Dubai is connected to the Mall of Emirates, which is one of the largest malls in the world. 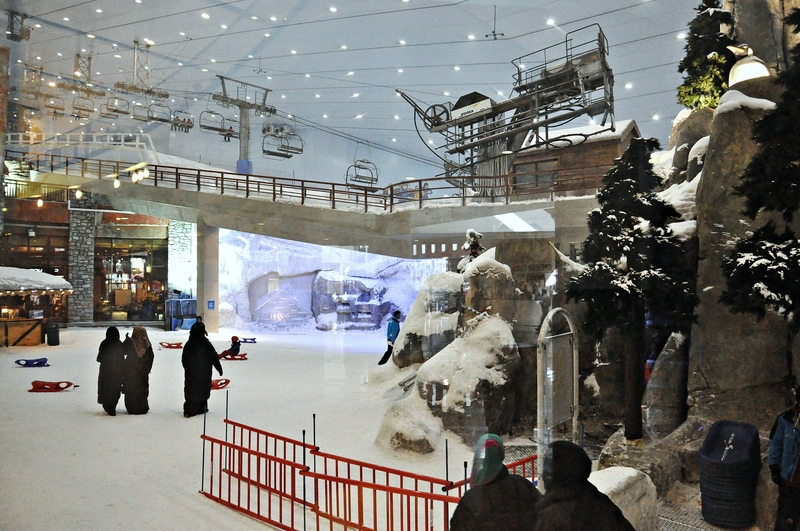 Ski Dubai is home to an 85-meter high indoor ice mountain with 5 slopes of varying steepness. A group of real penguins have inhabited the place and even built an ice cave. This is one of the star attractions of this destination. The first sight of the world’s tallest dancing fountain. The water propeller jets shoot water to a height equivalent of a 40 story building coupled with the signature Middle Eastern music, which will surely stun you. Located near the Burj Khalifa and right next to the Dubai Mall, the experience is loud, appealing and overall amazing to watch. Check out the Dubai fountains under the moonlit stars, as the background and scenery are beautiful and mind-blowing. It is by far one of the best ways to spend your evenings in Dubai. Also known as Al Bastakiya, the Bastakia Quarter is one of the oldest residential areas and a historic district in Dubai. This place was built in the late 17th century which is home earlier to the rich and posh Persian merchants. Get a feel of the rich culture and traditions of Dubai before the oil boom. A perfect getaway from the busy urban life of modern Dubai. The other main attractions of this place are the Sheikh Mohammed Centre for Cultural Understanding and the Dubai Museum. This is certainly one of the best things to do in Dubai if you are a firm believer of old is gold. One of the few Mosques which is open to the general public. Get to know the rich culture and heritage of the Muslims by visiting this holy place. Feel the warmth of this holy place as you explore the ancient Fatimid traditions and get deep insights about the Muslim religion. There are informative tours conducted specially for guests and tourists for a nominal fee of 10AED. But do get in early to avoid long queues. One of the best things to do in Dubai for some peaceful time. 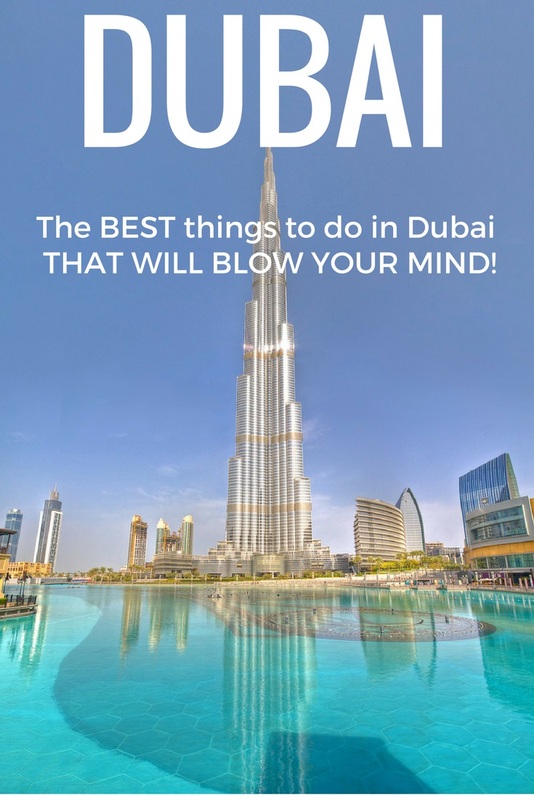 Which of the best things to do in Dubai would blow your mind the most?